The Hickleys Training Academy Auto Locksmith Training has a great pedigree, originating from the very 1st trainer in Auto locksmithing, Mike Byham. Mike of MB Locks built up a reputation as an established auto locksmith and is renowned in the industry as the "trainer that trained the trainers". Together with our considerable knowledge and expertise in the auto locksmith trade this has allowed us to develop training programmes which still use the fundamentals of Mike's teaching style and ethics. Hickleys acquired the MB Lock business in 2010, and continuing on in the same tradition, one of Mike's students Andy Marshall Brown is our lead trainer. Andy is still a practicing Auto locksmith with an impressive reputation in the market for knowledge in the latest vehicle key programming methods and has an excellent understanding of vehicle programming electronics. 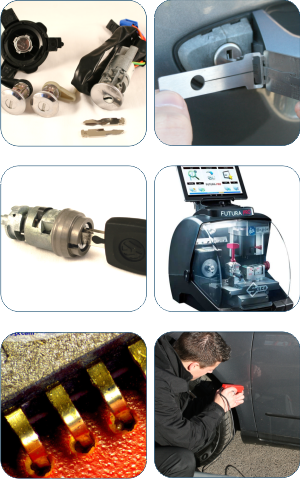 We offer courses for all levels of candidates from students with no previous experience to experienced Auto Locksmiths wanting to learn new skills and advancements in the market using the latest diagnostic equipment. Impressioning keys for cylinder, lazer and tibbe keys. Those taking our courses will be taught professional techniques and the ethics of our industry. We believe that by adhering to this strict code of ethics you will retain your customers and obtain further business built on your reputation. Hickleys Ltd also provide an advanced technical training course to selected Law Enforcement and Governmental agencies. Our courses have all been designed to dovetail into existing "in house" training courses and build on your current learning to enable the client to carry out highly technical procedures. We will provide the learner with not only the technical skills required to get the job done but also the practical ability. To find out more about the enforcement syllabus, dates and prerequisites please contact Nicky Summers. The Hickleys Training Academy is fortunate in having exceptional trainers with impressive credentials running our training courses. Our trainers are not employed by Hickleys, and whilst not training are practicing their trade as a professional locksmith or auto locksmith. This means they keep their skills honed to the market, relevant to todays locks and, most importantly, independent from Hickleys. Jason Hillier, who runs our domestic & commercial locksmith training and safe opening courses, is an extremely well known professional locksmith with years of experience and holds amazing lock picking skills. Jason is truly one of the guys that can defy belief with his abilities in opening all types of locks including safes. Jason has been training and passing on his skills for many years as the leading trainer for a midlands based training school, where he has trained hundreds of people the skills needed to prosper as a locksmith. In addition, Jason is in great demand to train the security services, military and government representatives. One of the most important skills of the professional locksmiths is the ability to open all types of locks in a non destructive way using your locksmithing skills to pick and decode locks, without using forcing techniques. With all of our courses students will be taught the correct way to pick locks, often receiving training on more than one method on each lock type. We offer a range of training courses to meet the needs of all types of students, either with no previous learning and wanting to start out in a new industry or where existing locksmiths want to add to their skills. We also offer a range of specialist training courses designed to build on your current skills and enable you to expand your company abilities, courses such as Multilock picking and additional van security are just a few. 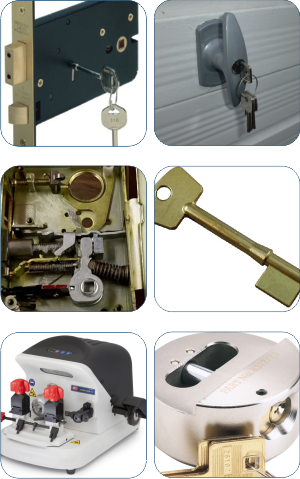 One of the natural extensions to the locksmith trade is to expand into safe opening. No previous knowledge is required and you will learn to pick open most of the common safes used today. In addition, within our training course we use and recommend 2 in 1 picks which enables us to keep the cost of tools required to a minimum. An additional benefit of attending the 5 or 8 day locksmith training course at the Hickleys Training Academy is that you will be given a tool box and range of tools and picks essential to get your business up and running. In addition the trainer will discuss a range of low cost or self made tools that you can add to your collection instead of buying expensive branded picking tools. The Hickleys Training Academy can offer a varied range of training courses to meet the demands of modern vehicles diagnostics and technical repair procedures. As leading specialist in auto electrics and diesel fuel injection, Hickleys are ideally suited to deliver technically advanced training programs to suit all levels of learning requirements from foundation level through to experienced master technician level. Information training courses offering an overview on a particular feature of modern vehicles such as Canbus, Hybrid, Common Rail diesel and air conditioning. These courses are ideal for anyone needing to have a good understanding of the systems, how they work, the components involved, the safety implications and the methods of repair. 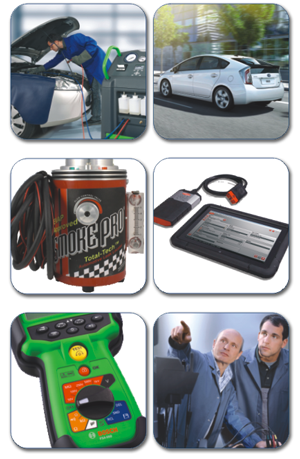 Product user training courses are designed to enable customers to maximize their understanding of a recently purchased diagnostic or test equipment. The courses cover operation of the equipment, the methods of testing, the software applications, special procedures required and any safety precautions or legal requirements. System training courses offer general system testing to expand and develop the students level of learning. These training courses build on previous learning in a structured program of training courses. Starting with basic electrics then building through to Diagnostic, Diesel and Master technician. The courses cover areas such as Sensors & Components, engine management, safety restraints, braking & ABS, oscilloscopes and advanced electronics together with diesel courses such as Common Rail, solenoid systems and unit injectors systems. We can offer the Bosch learning program of Diagnostic Technician, Diesel Technician and Master Technician, which offer IMI approved training culminating in an ATA qualification and Bosch Master Technician. This training will be organised by us and delivered at different learning centres around the country.